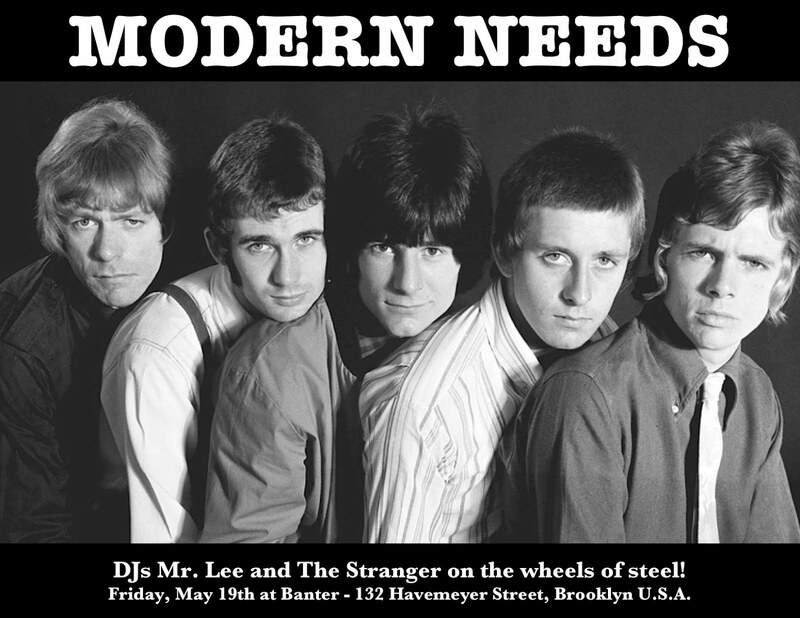 Modern Needs is a listening and dance party with special guest DJs and monthly musical themes, held every month at Banter bar, located in scenic Brooklyn U.S.A. The May edition features special guest DJ The Stranger. The mysterious one and your Modern Needs host and boss DJ, Mr. Lee (Going In Style Sound System) will be spinning top-flight reggae, psych, soul, freakbeat, and garage sounds until the wee small hours... Strictly vinyl, of course!